I believe in the power of community and connections and want to tell stories that challenge the values of others — both in the digital world and traditional spaces. 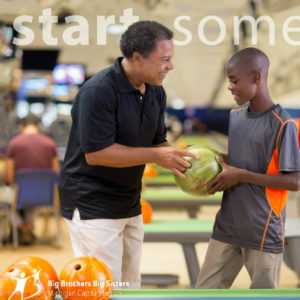 Big Brothers Big Sisters Michigan Capital Region wanted to target men to become “Big Brothers,” as the waiting list for at-risk youth at the time was primarily male. I created this postcard to be handed out at events and distributed around area places of business. Images came from the marketing bank from the national BBBS agency, and then I drafted the copy and designed was created in Adobe InDesign. Copyright © Samantha Ward, 2019. All Rights Reserved.